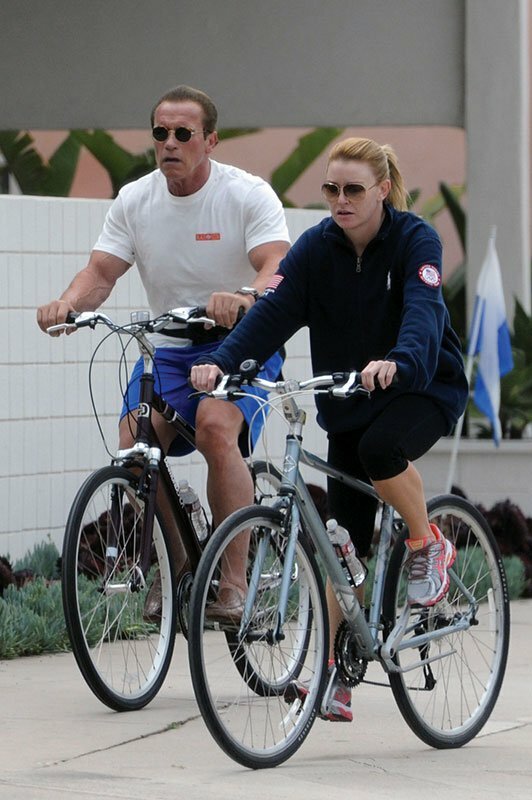 in Couples, Exercise, I Do That! 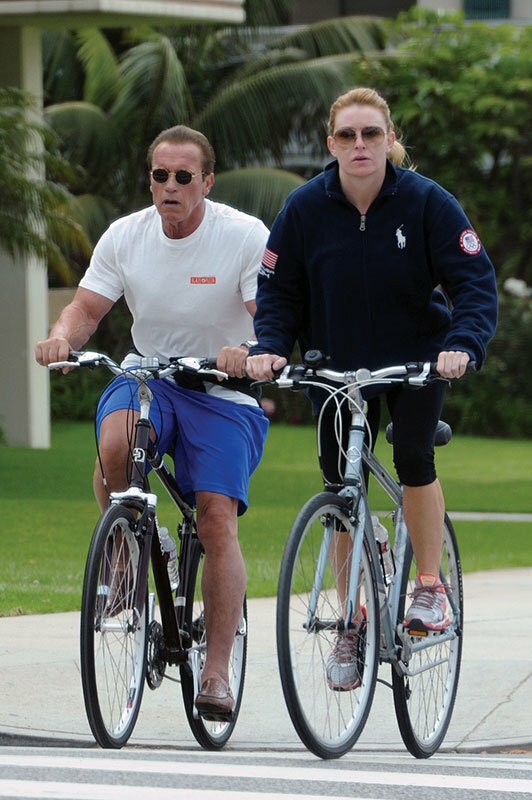 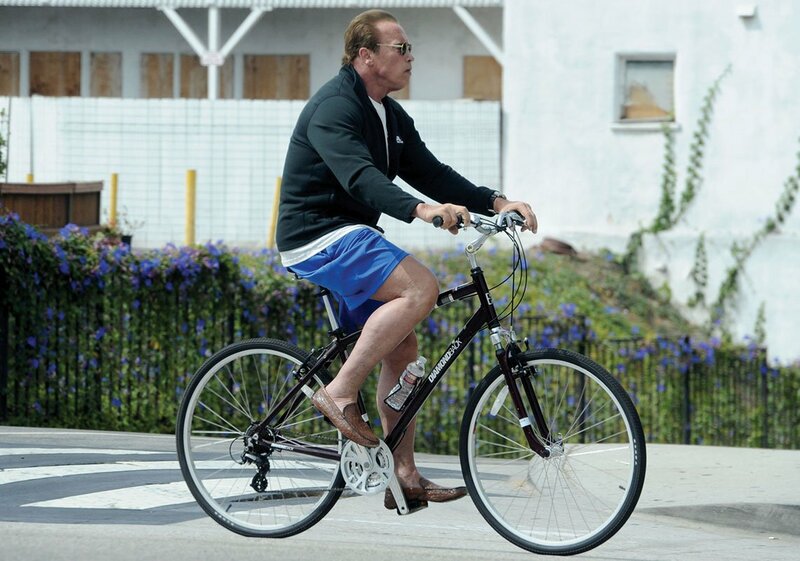 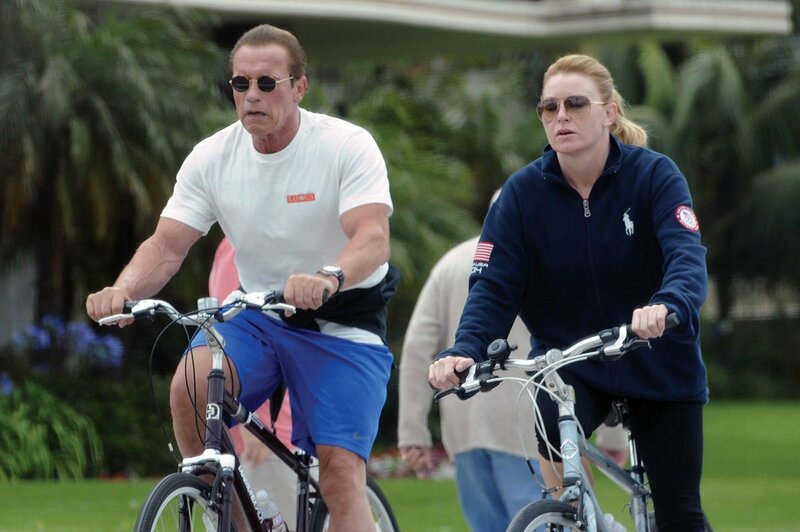 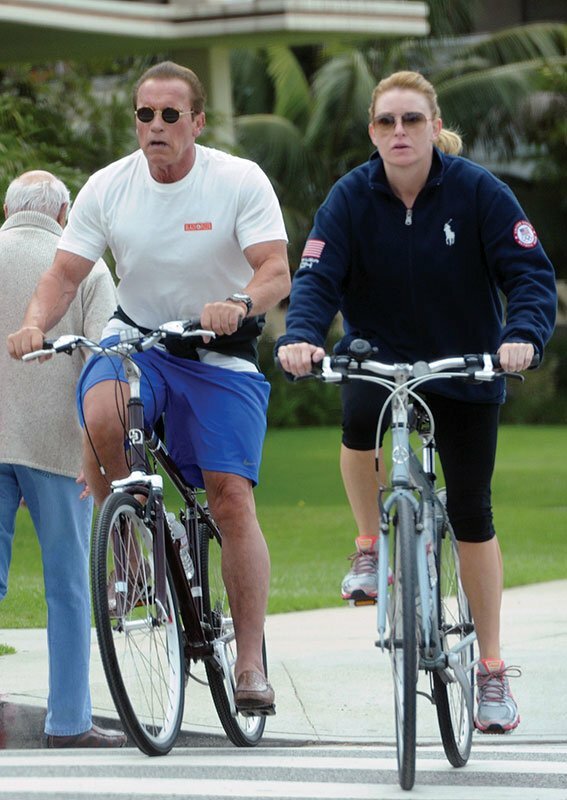 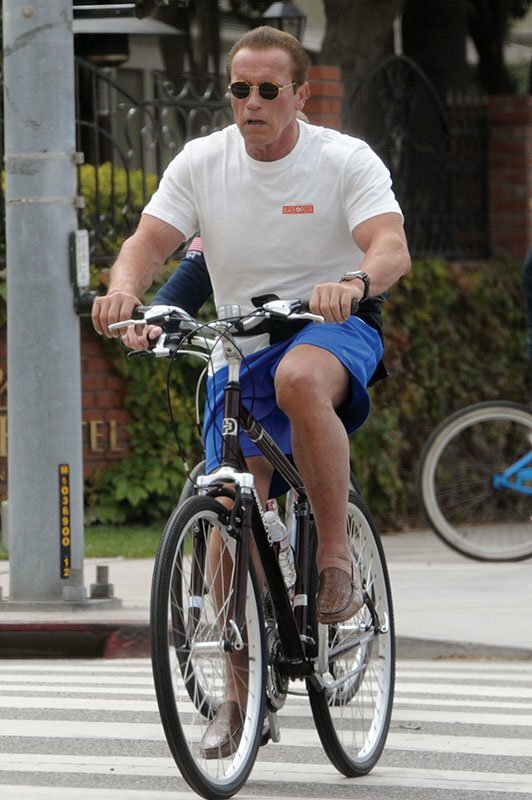 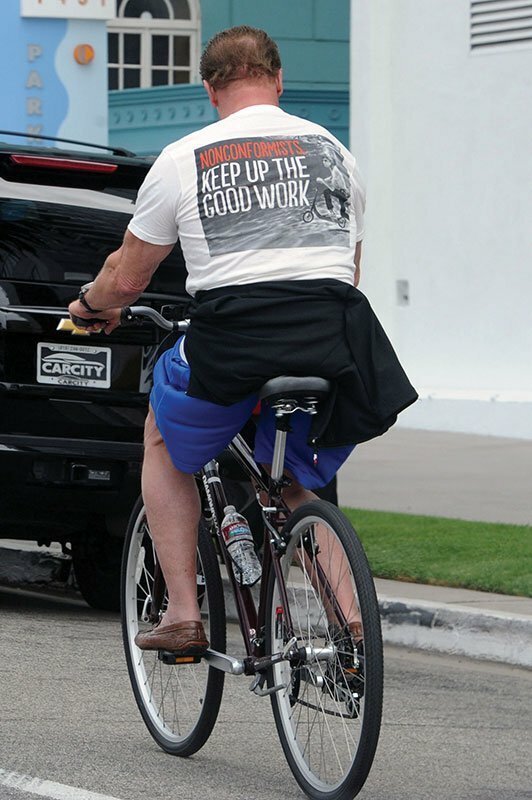 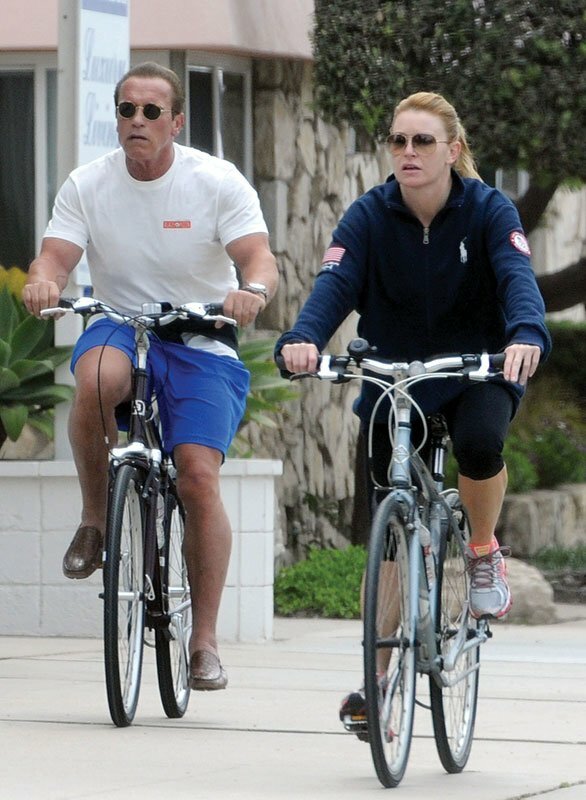 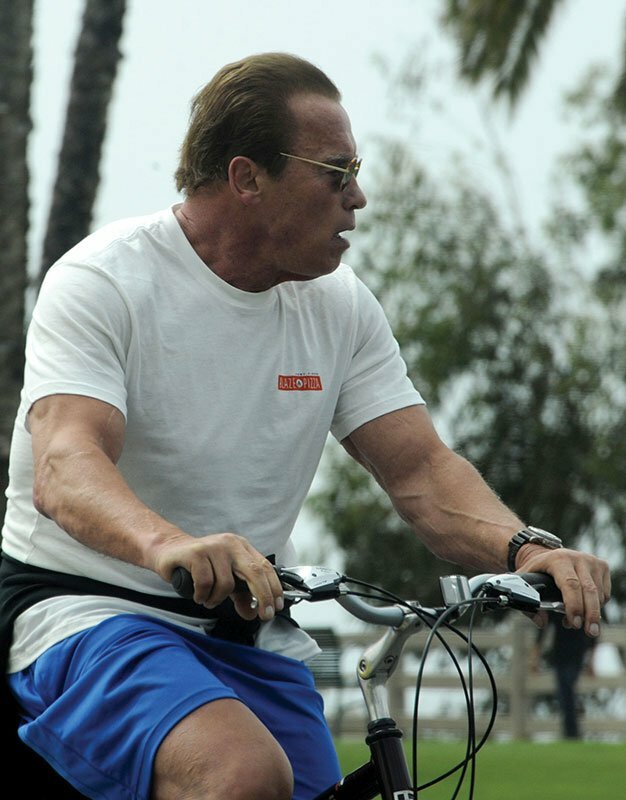 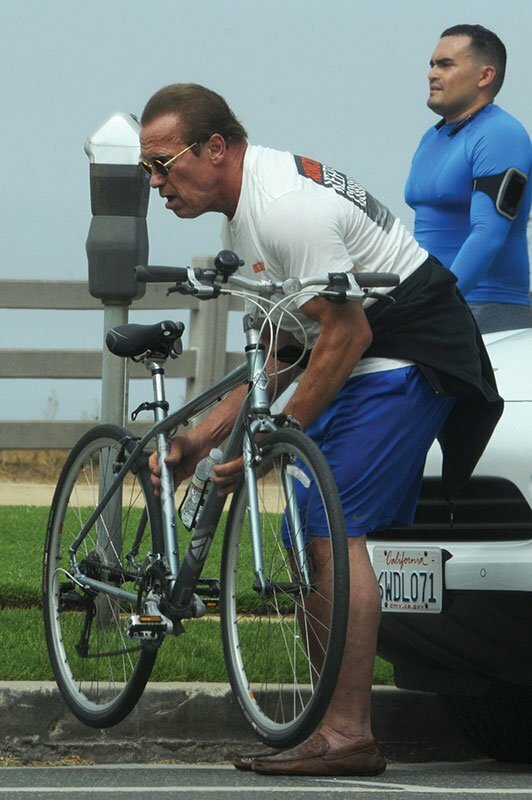 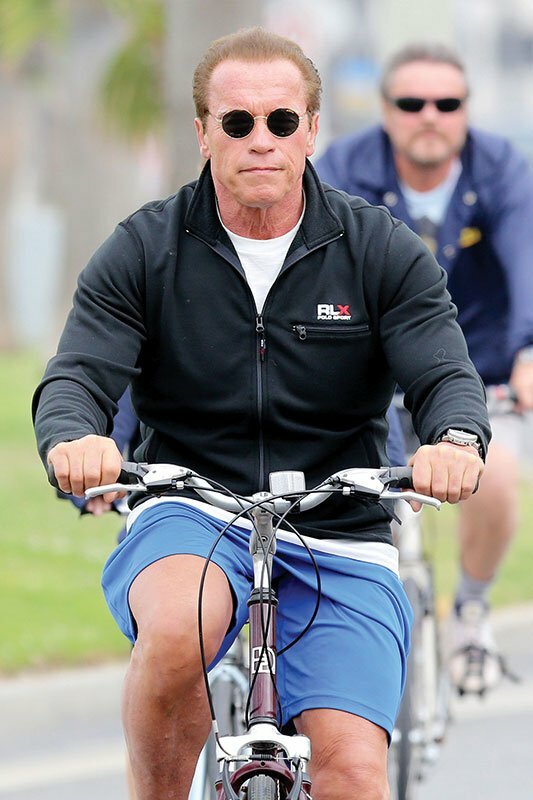 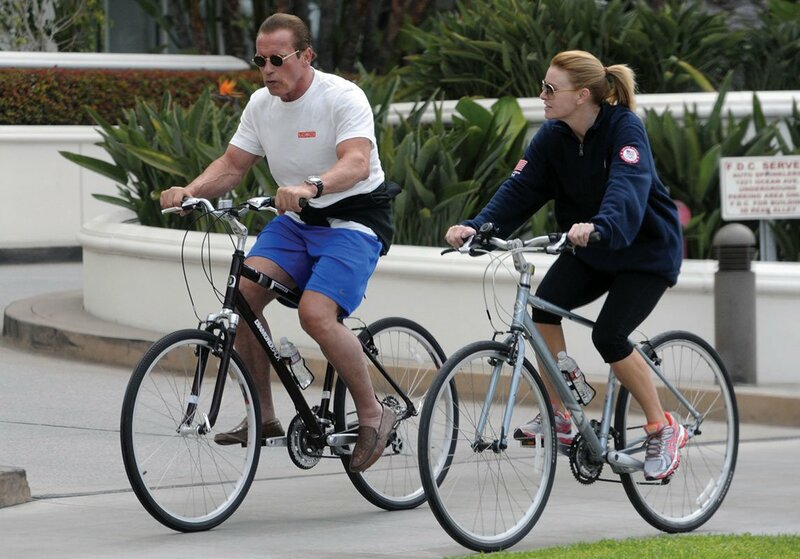 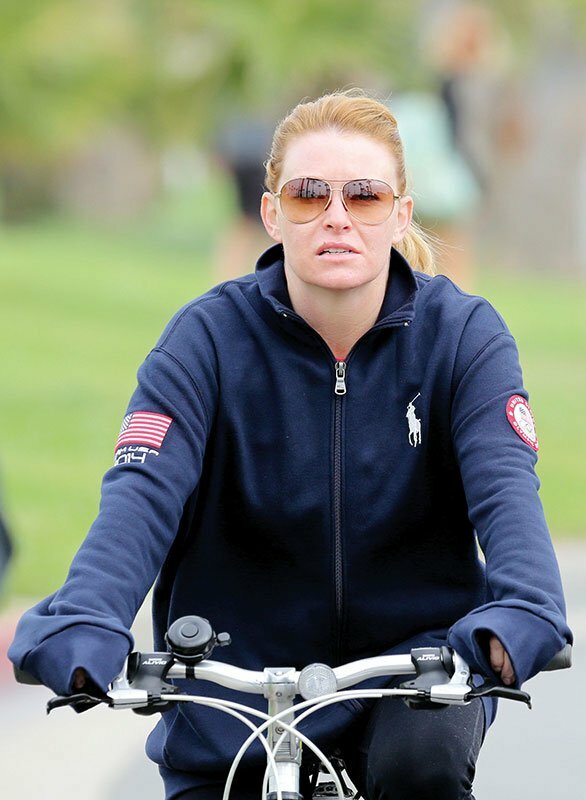 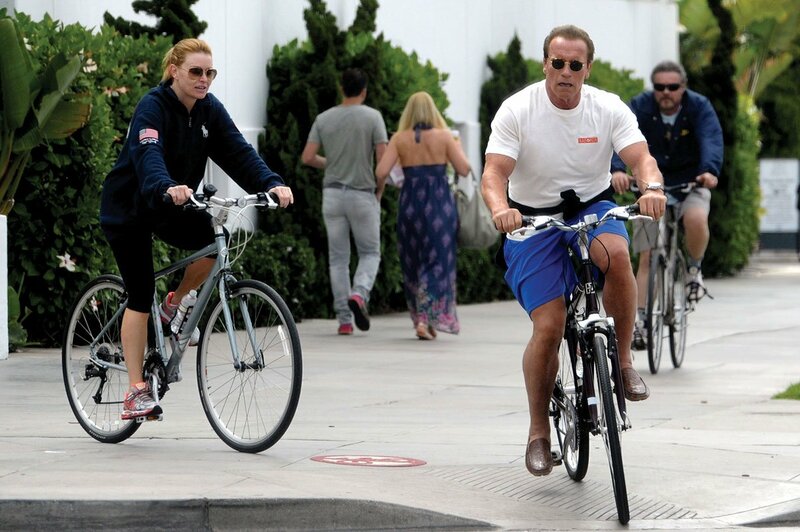 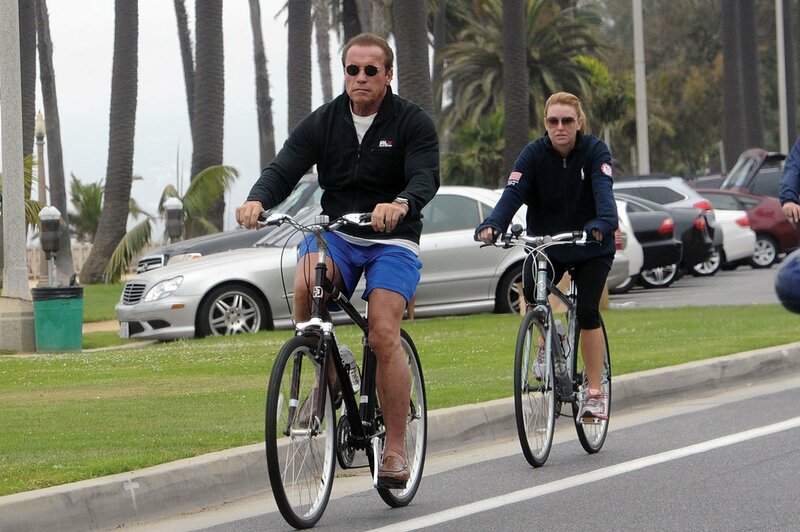 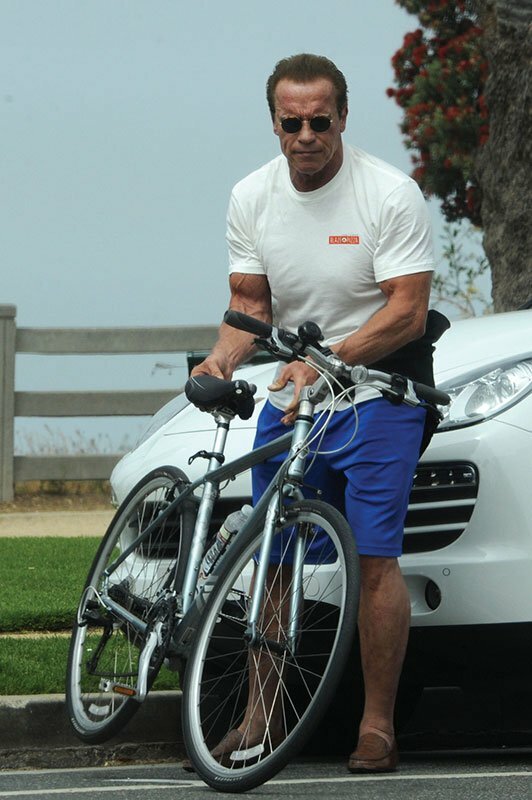 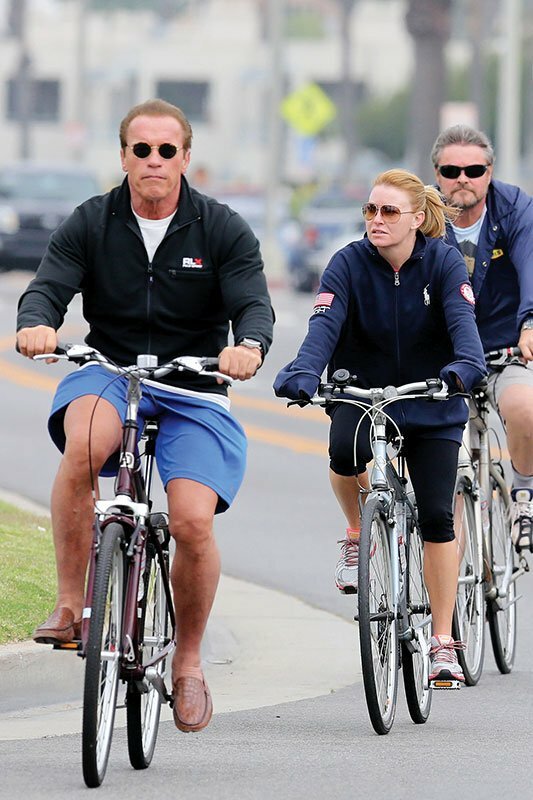 Arnold Schwarzenegger was seen keeping in great shape as he hit the bike path in Santa Monica with his girlfriend Heather Milligan. 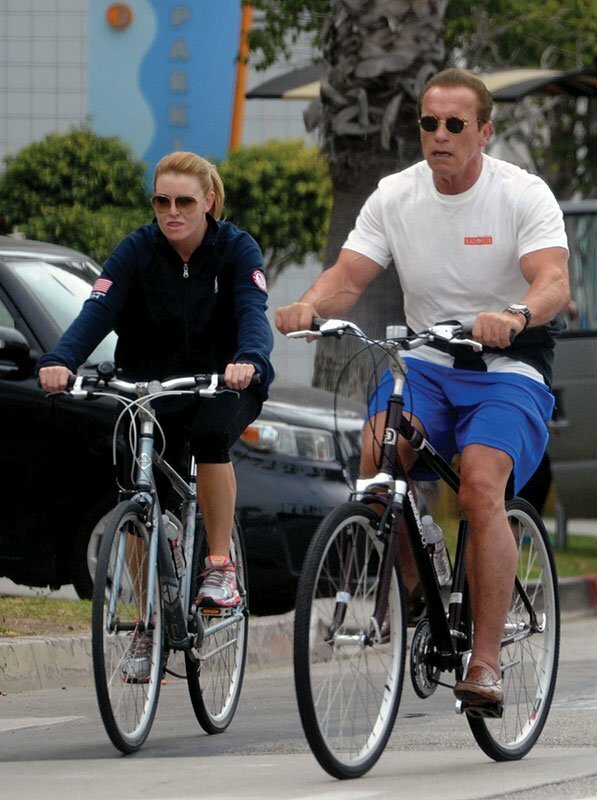 Cycling to Venice Beach Arnold even took his jacket off to give to his girlfriend as they arrived back at the car in the early evening. 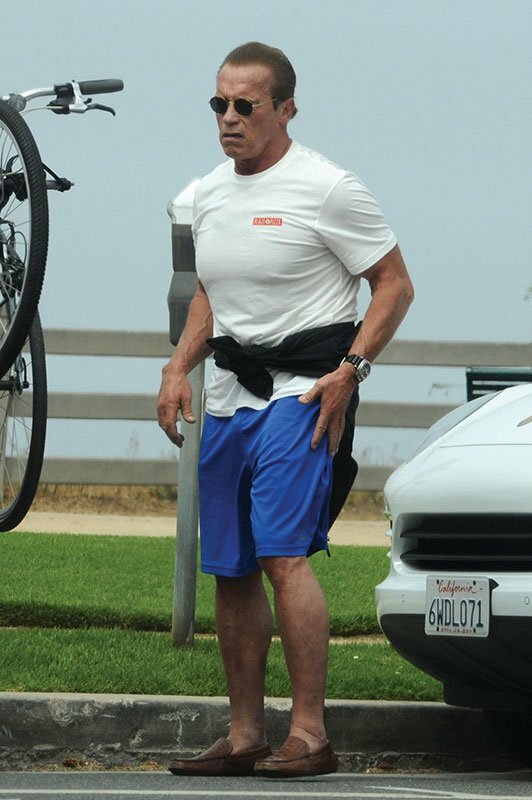 The actor was dressed in a casual t-shirt and shorts and sunglasses as he looked to be enjoyed the summer sun in LA.